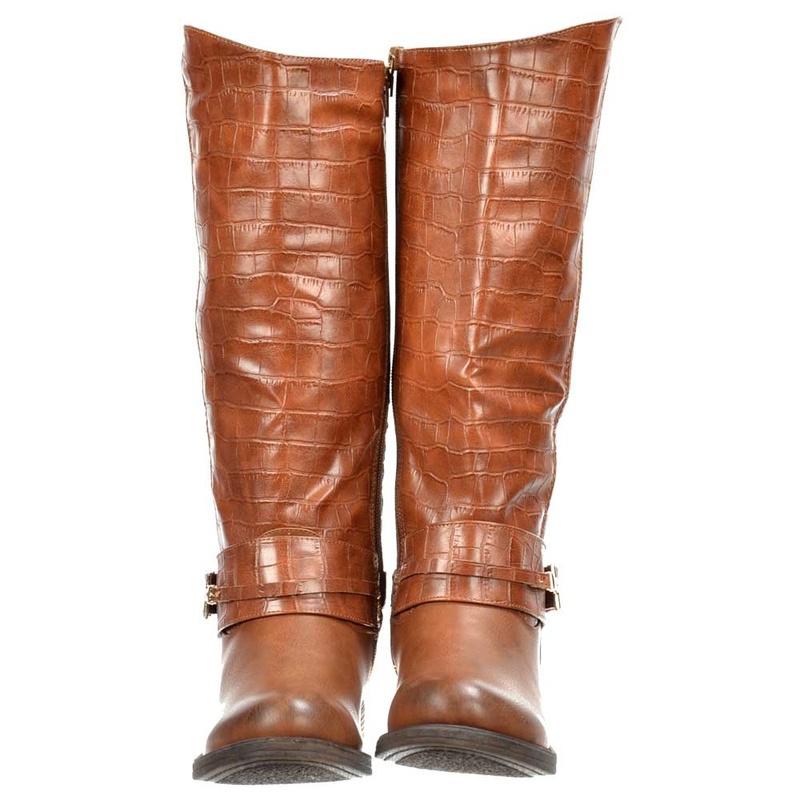 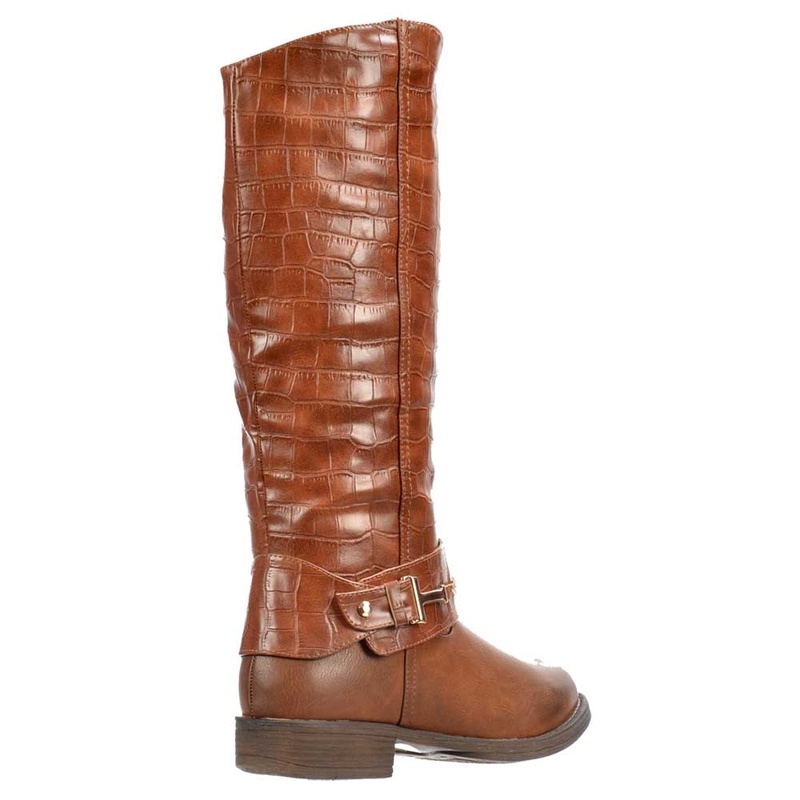 These Gorgeous Knee High Boots are 15 inches tall with a 1 inch Block Heel. 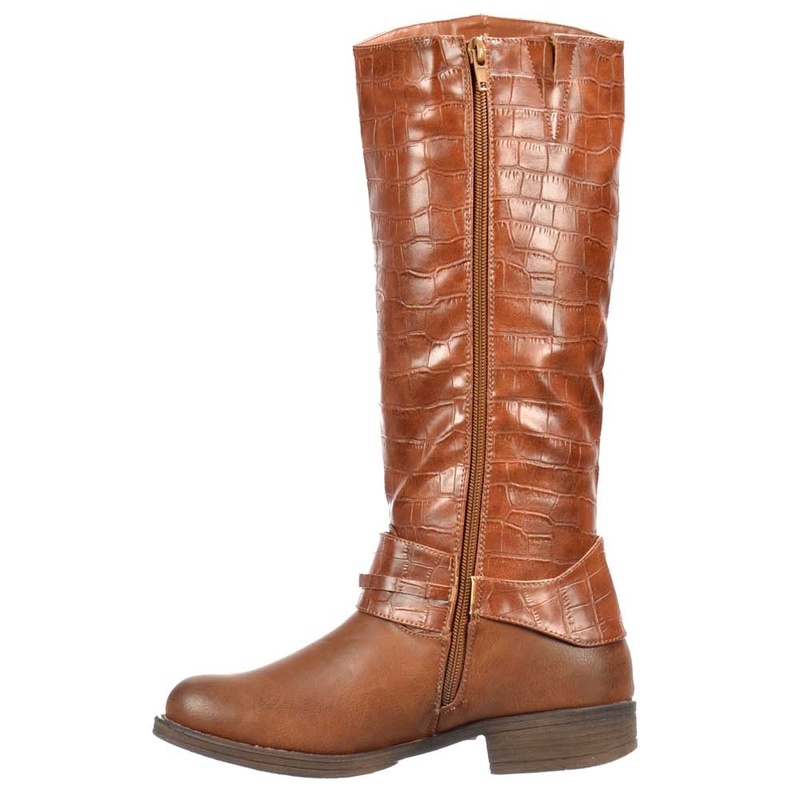 They also Feature a Synthetic Fur Inner for Extra Warmth. 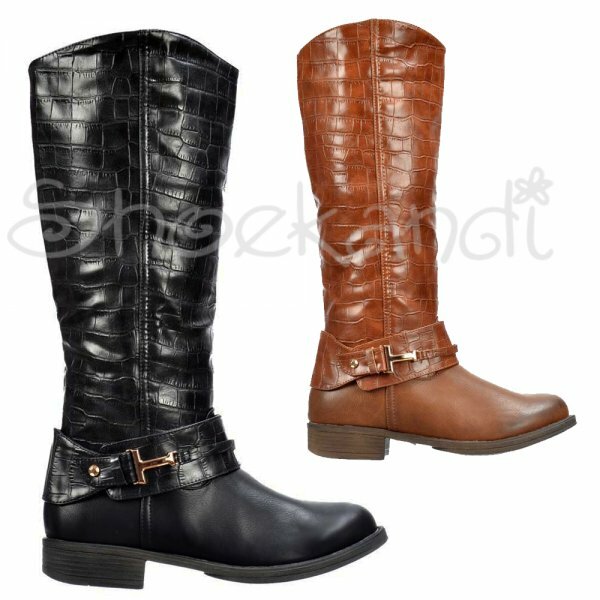 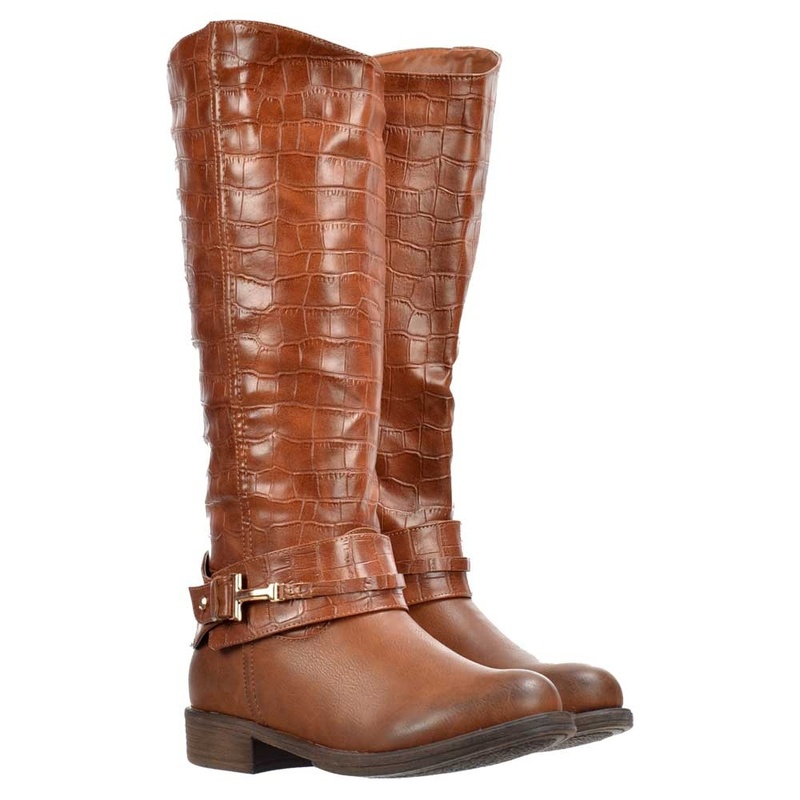 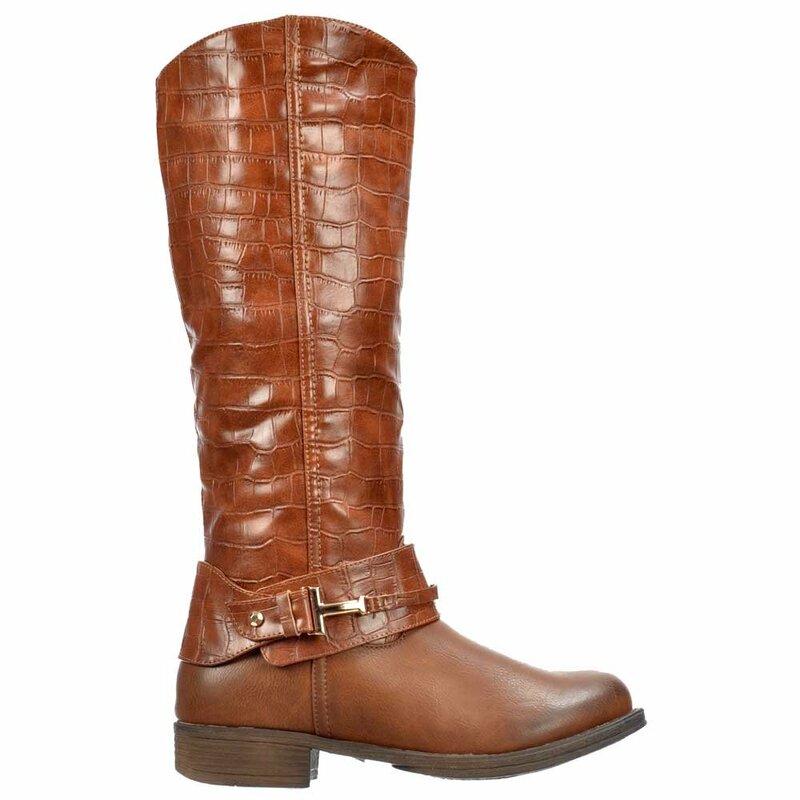 The Boot Enjoys A Stylish Triple Buckle Strap, Which is Adjustable plus Full Length Side Zip for easy On/Off. 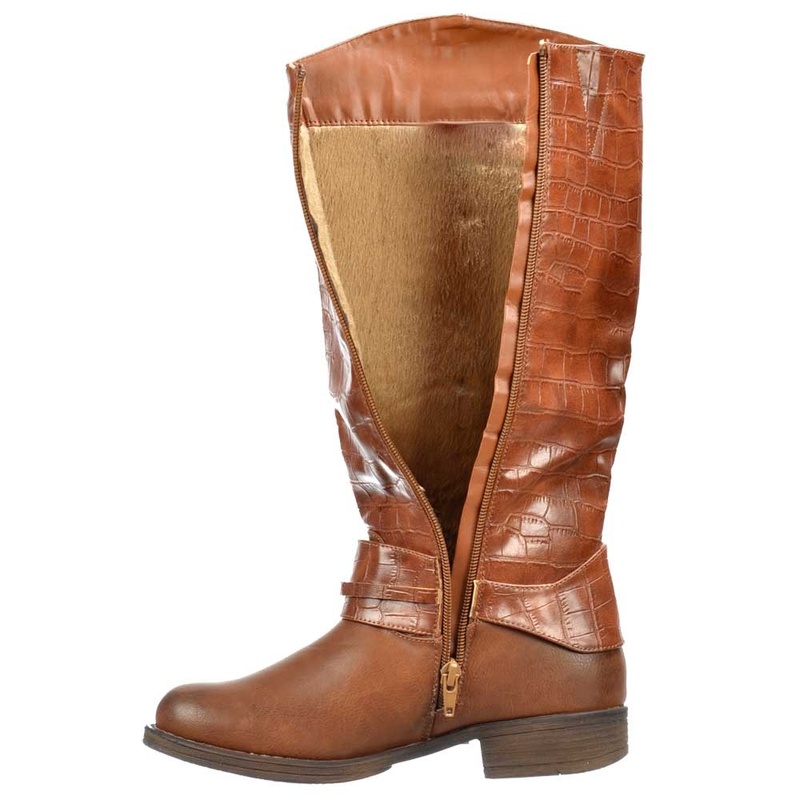 The Crocodile / Snakeskin Style Finish and Buckle with Stud Feature to The Front Allows This Boot To Be Worn As Casual Daytime, Work or Evening Wear.